If you work to create social change in America, chances are good you’ve come up against dominant narratives about the country that stand in your way. Cultural narratives are ideas so common in our culture that they sound like common sense. They frame our perceptions of the way the world works, and our preferences for the way things should be. 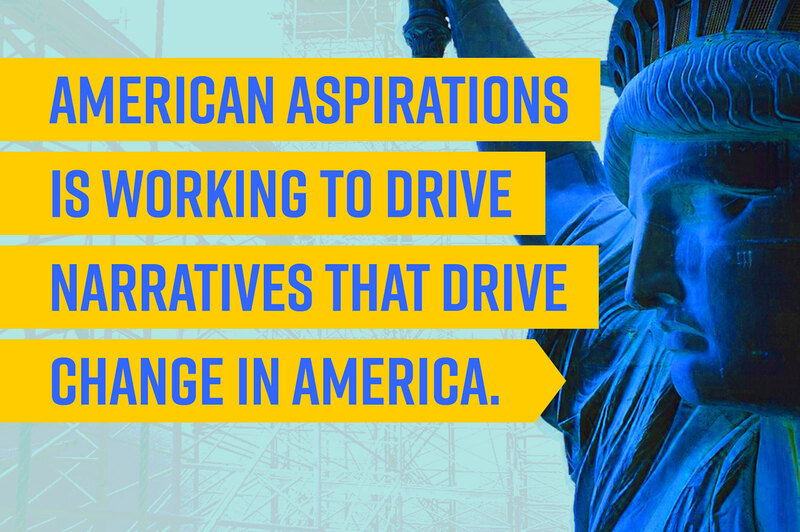 American Aspirations works to disrupt cultural narratives that drive inequality—and drive narratives that motivate people to support social change. Our team of strategists and social scientists talks to people from all walks of life, all across America, exploring their aspirations for their lives, communities and country. We share research insights, produce content and design tools that can help you communicate in new ways, transcend social and political divides—and connect your cause to hopes and values that really matter to people.